SPOILER-FREE! 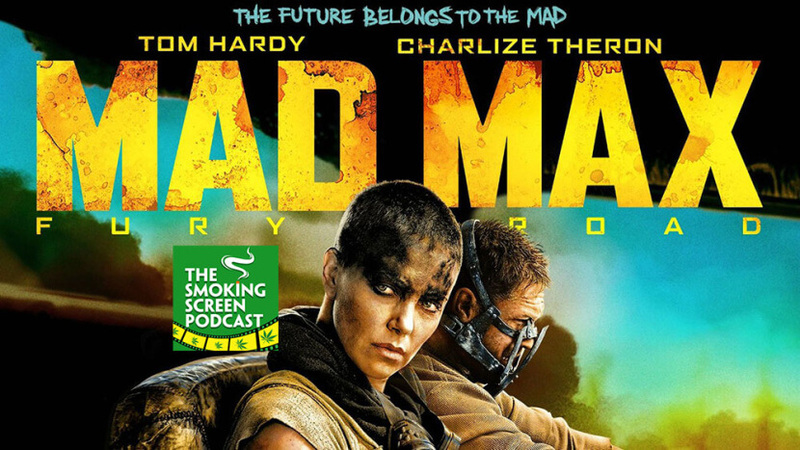 In a special bonus episode, Jay and Cybill slap on their face paint for an epic race through the post-apocalyptic desert with Tom Hardy in “Mad Max: Fury Road”. Does the movie live up to its Golden Globe nomination? Can a high-octane chase sequence keep us entertained for 2 hours straight? Should Charlize Theron win an Oscar? Did we miss Mel Gibson? All this and a can of silver spraypaint in Episode 49 of The Smoking Screen. Have YOU entered our FREE Oscar Pool? Awesome prizes up for grabs from our friends at BC Smoke Shop and Retro Active: The Alternative Smoke Shop!